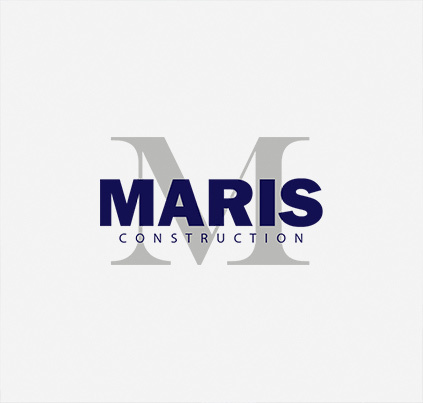 Founded in 2007, Maris Construction is a Chicago based construction company. Maris Construction’s leadership team has extensive construction experience within the Chicagoland area and across the country. Maris Construction prides itself on providing a wide range of construction services which allows our Company to accommodate the many needs and demands our clients may have. AT MARIS CONSTRUCTION, WE BELIEVE IN PERSONAL ACCOUNTABILITY AND WE HAVE A CLIENT-FOCUSED PHILOSOPHY. We take pride in our work as builders and in the relationships we establish. Our primary objective is to develop and maintain a long-lasting relationships with each of our clients. We believe the most precise way to demonstrate this to our clients is to provide the highest quality product on time and on budget. As Principal with Maris Construction, Stephen is responsible for business development and pre-construction services including budgeting, scheduling, and design development services. He oversees all pre-construction services and project staffing needs. He works hand in hand with ownership and the design team to ensure that ownership’s expectations stay in line with the design team’s creativity and the overall project budget. Stephen co-founded Maris Construction in 2007. He has over twenty-two years of construction industry experience, and his extensive experience covers multiple project types. Steve graduated from Marquette University with a Bachelor in Civil Engineering. As COO with Maris Construction, Brandon is responsible for the day-to-day leadership and general management of the company. He also focuses on business development and project administration including project startup, staffing, and contract negotiation with subcontractors. He oversees field and project management personnel across all projects. Brandon is a real estate professional with over fifteen years of experience in the design, development, construction, and management of real estate assets. In addition, he has managed the design, city approvals, contract negotiations, cost control, construction, and schedule for large development projects. Brandon graduated from the University of Michigan with a Bachelor in Mechanical Engineering and holds an MBA from the University of Chicago Booth School of Business with concentrations in Finance and Entrepreneurship. As CFO with Maris Construction, Alexander oversees financial performance, financial statement preparation, budget activities, income tax reporting, and risk management. Prior to becoming a member Maris team, Alexander served as a senior accountant at a regional firm serving clients with revenues ranging from $1M to $50M. Alexander is also a real estate investor with an active portfolio of rental assets under management. Alexander graduated from DePaul University with a Bachelor in Commerce and Accounting and holds an MBA from the Illinois Institute of Technology’s Stuart Graduate School of Business with concentration in Finance. He is a Certified Public Accountant licensed to practice in the State of Illinois. As Director with Maris Construction, Garrett is responsible for operational improvements and project administration while incorporating lean methodologies into the current workflows. He oversees maintenance of quality control systems, schedule requirements, cost accountability, and the establishment of management systems. It is his duty to ensure close coordination among all project team members, ensuring owners a successful project delivery. Garrett is an engineering professional with over fifteen years of experience in the design, engineering, and production launch of new products and facilities. He also has experience in operational process improvement and 3P lean planning acquired while working with University of Chicago Medical Center and Toyota Motor Company. Garrett graduated from Kettering University with a Bachelor in Mechanical Engineering. As General Superintendent with Maris Construction, Daniel is responsible for the oversight of field operations across all projects. He oversees all Maris field personnel as well as the coordination of our subcontractors and onsite consultants. He is responsible for schedule management, construction conformance and quality, and safety. Daniel is a construction professional with fifteen years of experience in the construction and supervision of mid and high-rise commercial and residential projects. Independent of construction supervisory roles, Daniel worked as union carpenter. He is incredibly passionate about exceeding client expectations and is extremely attentive to detail. Daniel completed the Local 839 Carpentry Apprenticeship program and holds an OSHA 30-hour certification.